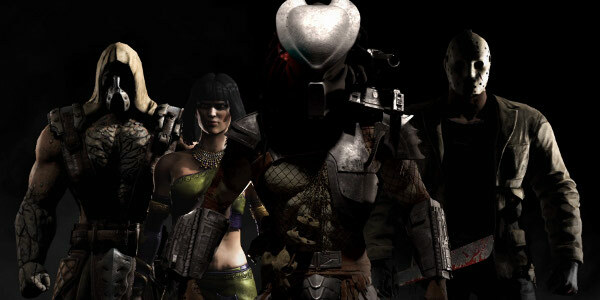 Netherrealm Studios has revealed the final two characters included in Mortal Kombat X's DLC Kombat Pack. These characters should look very familiar to veterans of the series. The first "Klassic" character included as DLC is Tremor. To date, he's only been playable in the Challenge Tower for the PS Vita version of Mortal Kombat 9. Tremor, as his name implies, is gifted with Earth magic. He can launch stones from his hands or create earthquakes. "Wait, Liu Kang's not in the Kombat Pack?" you might be asking. "How can they not put him in the game?" Well, no. However, it seems like he's part of the regular roster. He hasn't been officially announced to date but he's mentioned in the full schedule for the Kombat Pack. An old-school skin for Liu Kang will be released along with Tanya's DLC pack. I'm not sure exactly how Liu Kang appears in MKX - didn't he die in the last game? - but this franchise is full of all sorts of weird magic so maybe he's been resurrected somehow. The announcement from Netherrealm didn't include dates for each of these add-ons. We also haven't seen any screenshots of the skins included with each pack. Jax's Carl Weathers skin is another surprise in the DLC. It definitely fits with Predator, though. Weathers played one of the commandos being stalked by the alien in the original Predator film. Mortal Kombat X's Kombat Pack costs $29.99 and is also bundled with the Collector's Editions. While each of its four DLC packs will be released individually, Kombat Pack holders will get early access.